I’m currently en route to Northern Italy and while I’m away I will mostly be active on Instagram here. But to kick off a series of guest bloggers while I’m away, I am thrilled to introduce the lovely Vika of Vegelicacy to Vegan Miam. It might coincidence that our names are nearly the same, but it’s no coincidence that I am inviting someone with the same passion and dedication to vegan food that I have. 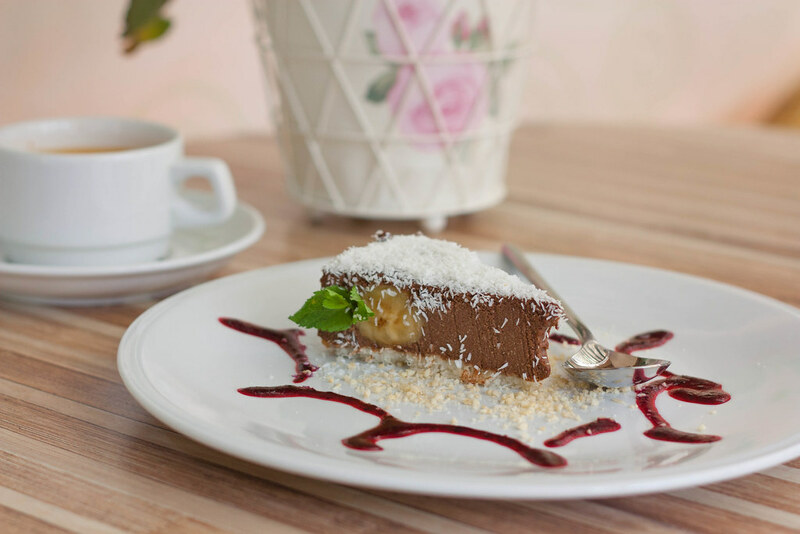 This week Vika will whisk us away to her home town as she shares a few of her favorite vegan eateries and delectable dishes from Moscow, Russia. Moscow has always been on my list of international cities I want to visit and I have a deep interest in the Russian language, history and culture. I even have a Russian nickname – Rikachka. Vika, short for Victoria, has been a vegetarian for 4 years but only recently became an ethical vegan earlier this year. She is the the cook, food blogger and driving force behind Vegelicacy, where she enjoys sharing her culinary discoveries and life stories. The name ‘Vegelicacy’ is an amalgamation of Vegetarian and Delicacy, and represents her desire to find and share delicious vegetarian food. Vika built Vegelicacy from scratch as a recipe ‘book’ site where people can easily find recipes from her and other community members, including search parameters to meet specific dietary requests. For her own recipes she even provides a visual step by step guide with helpful photos of her preparation and cooking process. While some of her older recipes are not vegan, Vika is committed to delivering more new vegan content to Vegelicacy. Moscow. City of mystery, so full of history, noble and old. Moscow. There is a burning fire that never will expire, deep in your soul. Hello! Hello! Hello! This is Victoria (aka Vika) from Vegelicacy.com and I am so thrilled to be guest blogging (it’s my first guest post!) today at Vegan Miam! While this beautiful couple is going away to Italy, let’s go somewhere, too. How about Moscow, the Russian capital? It’s a wonderful place to visit, but the truth is Moscow is not vegan-friendly yet. So if you are planning your holidays in Russia, you have to be extra prepared. And I am here to help. I am vegan myself and I have been living in Moscow for 7 years. 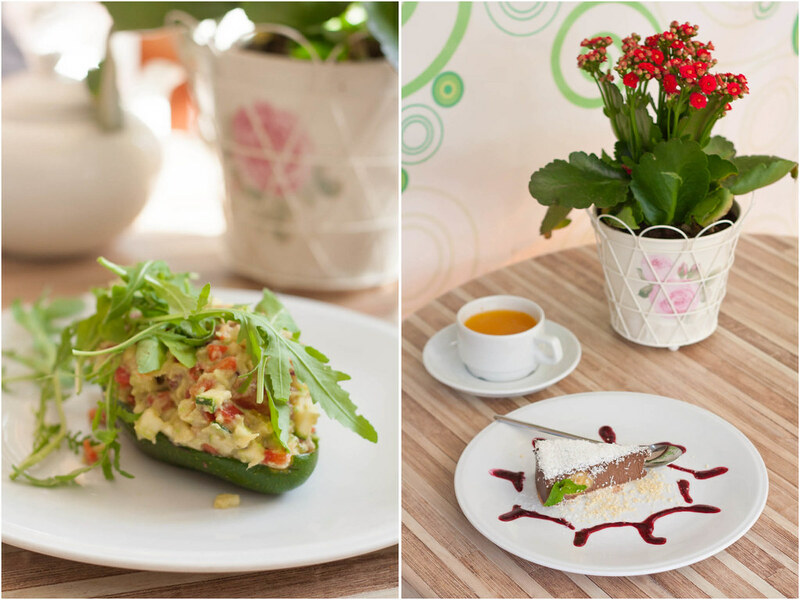 In this post I am going to share my top 5 vegan eats in Moscow. 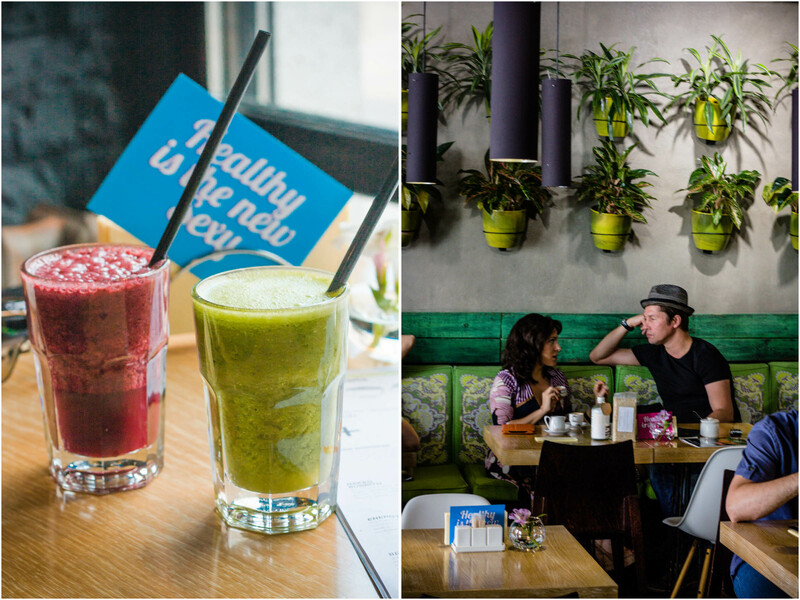 Fresh is absolutely the best vegan café in the city. 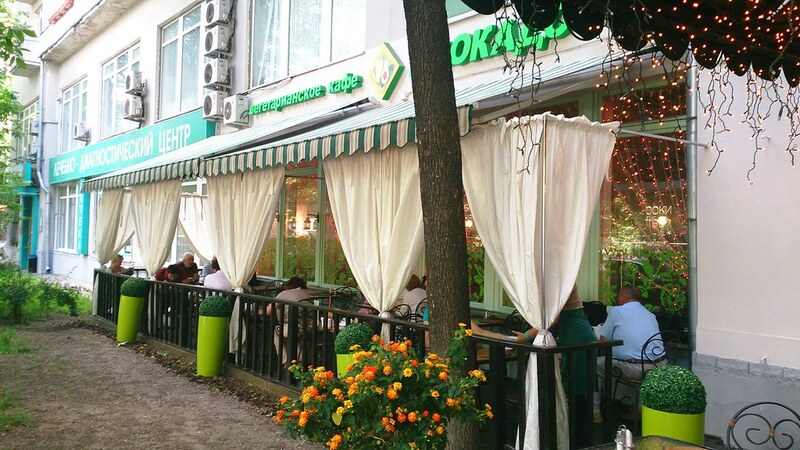 It’s a trendy and casual place located 5 minutes away from Bolshoi Theater and 10 minutes away from the Red Square. 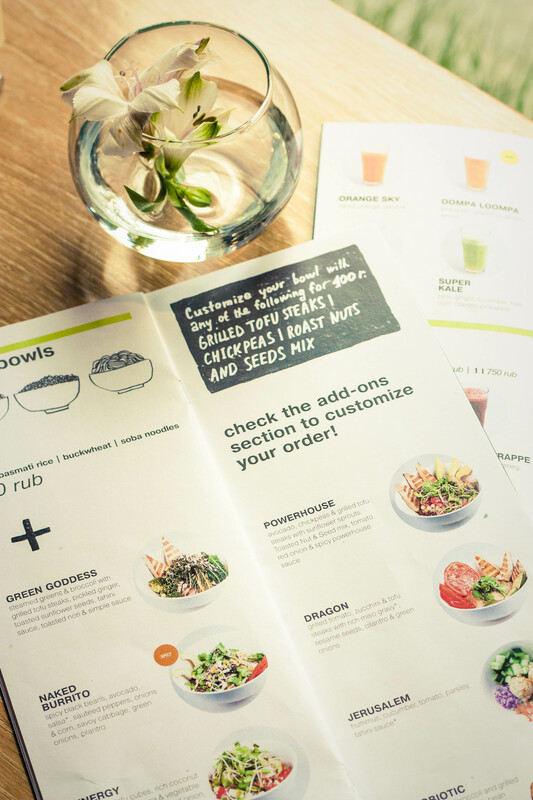 The menu is plant-based, organic and healthy! 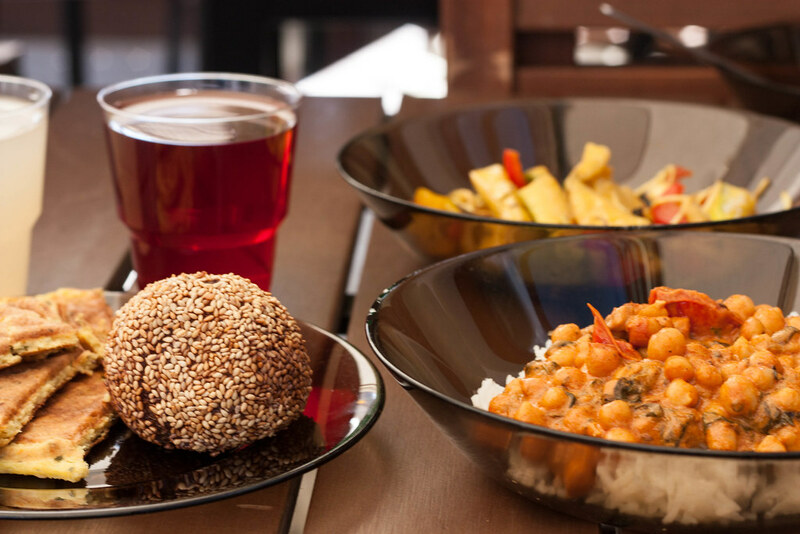 Fresh offers a wide range of creative and beautiful vegan dishes: delicious soups, rice and noodle bowls, veggie burgers, wraps, sandwiches and much more. 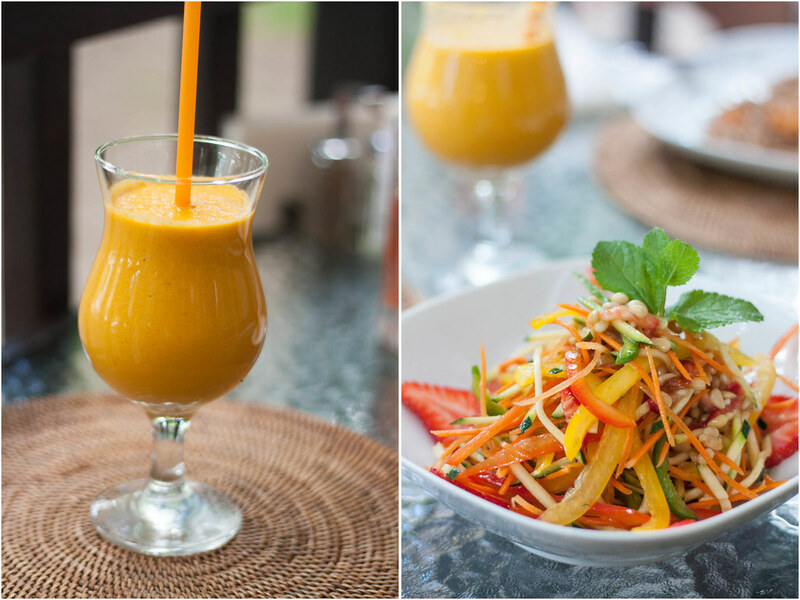 The bar menu offers an impressive selection of various healthy beverages, fresh juices and vibrant smoothies. Everything looks so tantalizing, that it’s really hard to choose from! This place is a bit pricey, but certainly worth a stop! 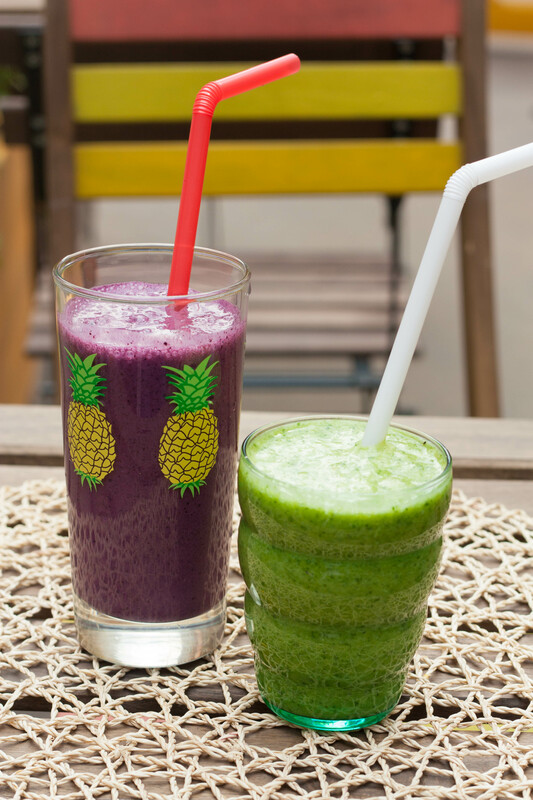 Their smoothies are divine! 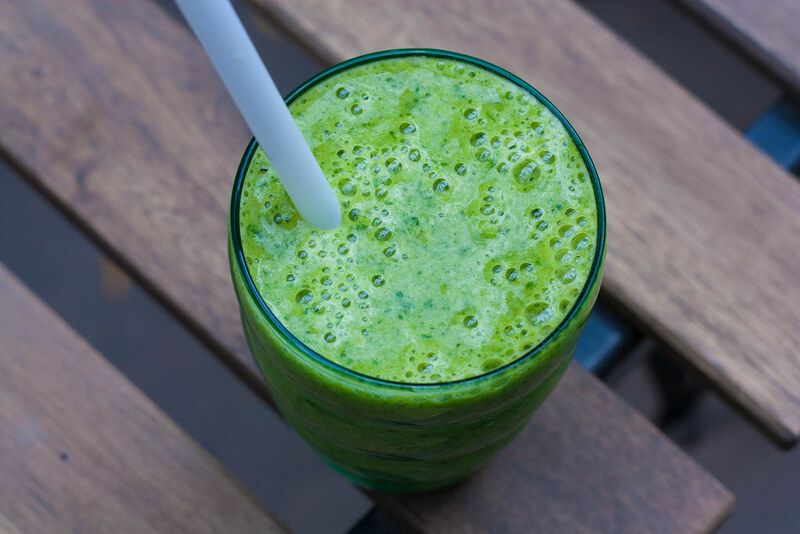 We ordered “Skinny Dip” shake and “Super Kale” smoothie. Combo of soup, salad and pita bread was nice, but the portion for the soup was too small. For the same price, it’s better to order one main dish which is more nourishing and satisfying. There are different options for main dishes served either with brown rice, buckwheat or soba noodles. 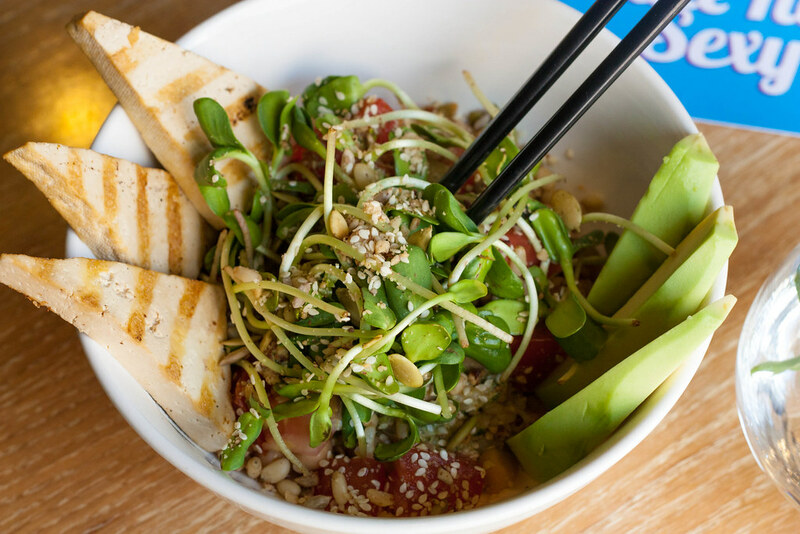 We chose the “Powerhouse” Bowl consisting of avocado, chickpeas, grilled tofu steaks, sunflower sprouts, toasted nut & speed mix, tomato, red onion and spicy powerhouse sauce served over brown basmati rice. And it was gloriously delicious! 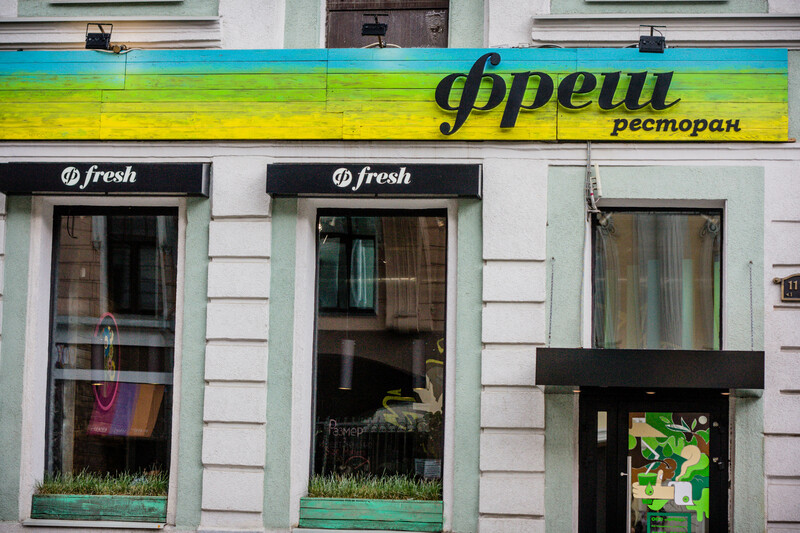 I highly recommend visiting Fresh restaurant at least once during your stay in Moscow, you will definitely enjoy it! D’ivan provides a relaxed, homey atmosphere where people can doze, take their shoes off, grab a bite and play with their cat. 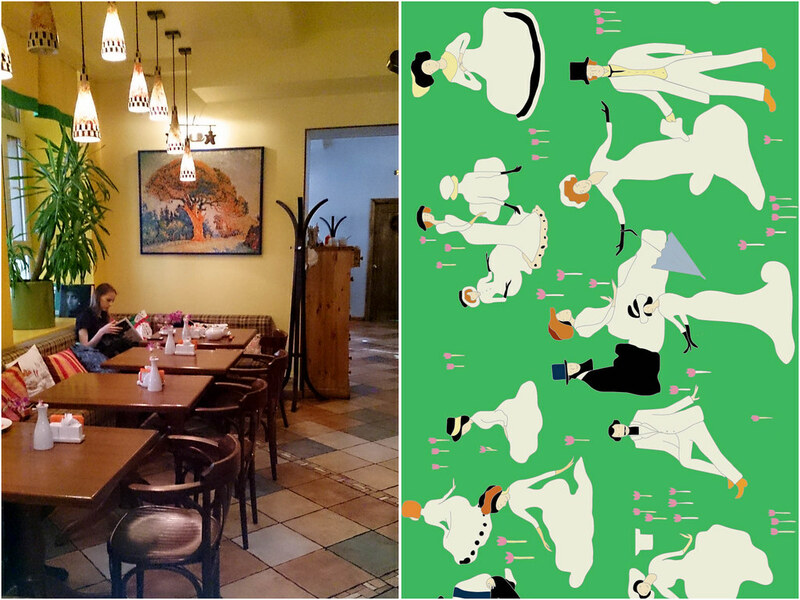 The term “D’ivan” means sofa in Russian, and this favorite café of mine describes it all: relaxing, warm and cosy. The menu offers a variety of vegetarian and vegan dishes with some raw options. Vegan options are marked with a “V” icon. At the moment, there is no English menu, but they are working on it. Last week I went to D’ivan with my old university friend Anya and we had a pleasant time sitting on their patio and enjoying delicious vegan food. 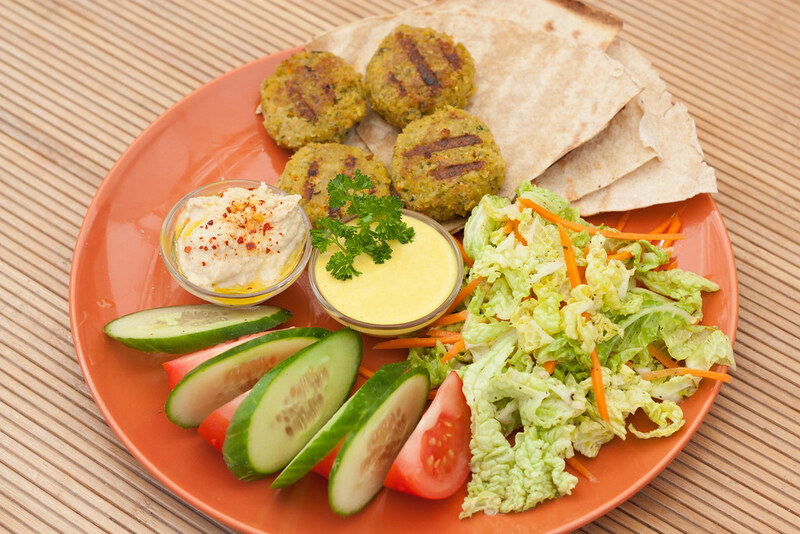 I had “Falafel” served with hummus, mustard sauce and fresh veggies. 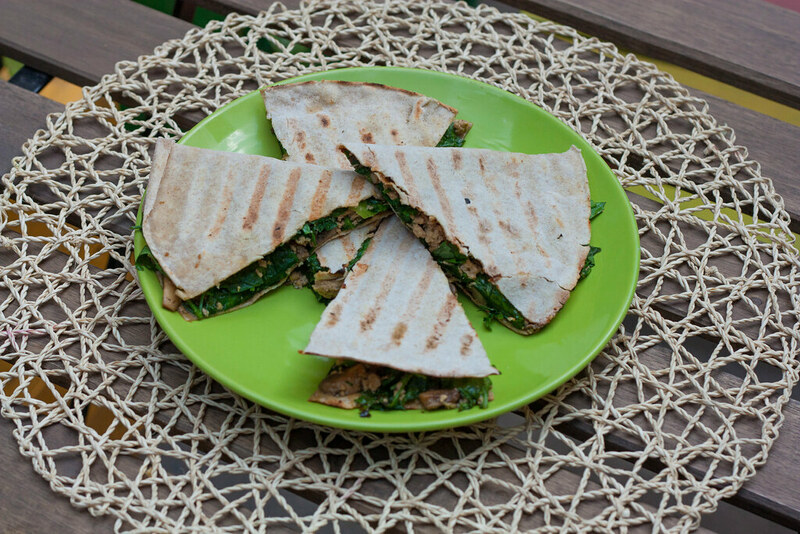 Anya ordered “Piadina” with tofu, mushrooms and spinach filling. We also had heavenly delicious smoothies. I fell in love with their Bilberry Smoothie, it tasted so good! If you want to taste healthy vegan and vegetarian food at affordable price then drop by D’ivan. We only paid about 800 rubles ($28 USD) for these four courses. The cafe is in an inconvenient location since it is situated in the area of a former Arma factory complex, which is hard to find. Jagannath is a chain of five Indian-style buffets, run by Hare Krishna devotees. They offer mostly lacto-vegetarian food with some vegan options. 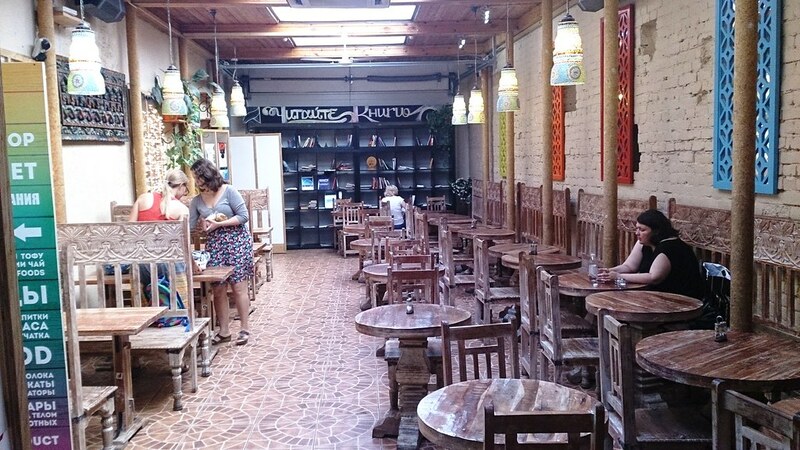 Last week I visited the first Jagannath café (on Kuznetsky Most, 11) which is located in the center of Moscow, just 5 minutes away from the Red Square. This place is always busy and popular among locals and foreigners alike. Jagannath is a self-service restaurant, so you have to stand in a line, order from a server, pay and then take your tray to a table. While staying in a queue, feel free to ask the staff regarding vegan options and dishes. They are happy to point out which dishes are vegan. What is great about Jagannath is that you can have a quick lunch at a very reasonable price. The food is bland and often served cold in their buffet setting. However, Jagannath is great for travelers due to its perfect location, low prices and fast service. 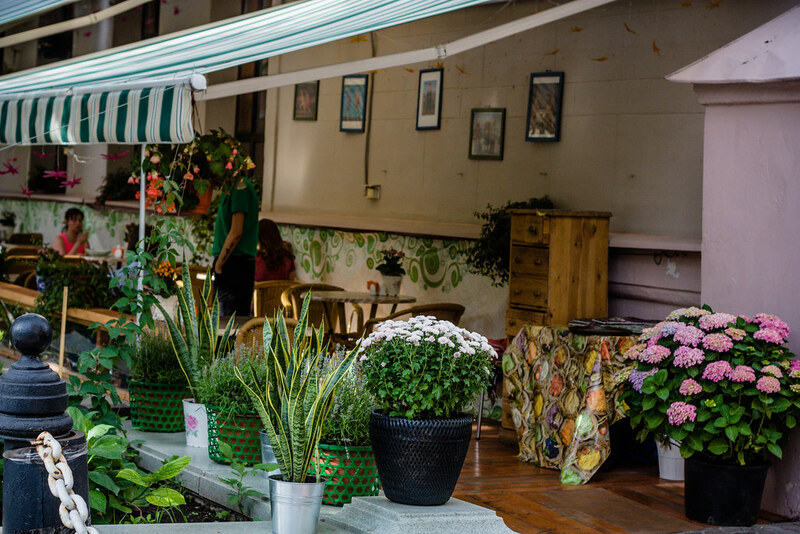 Sok is a small and cozy café located right opposite the famous Tretyakov’s Art Gallery, within walking distance from the Red Square and Christ the Savior Cathedral. 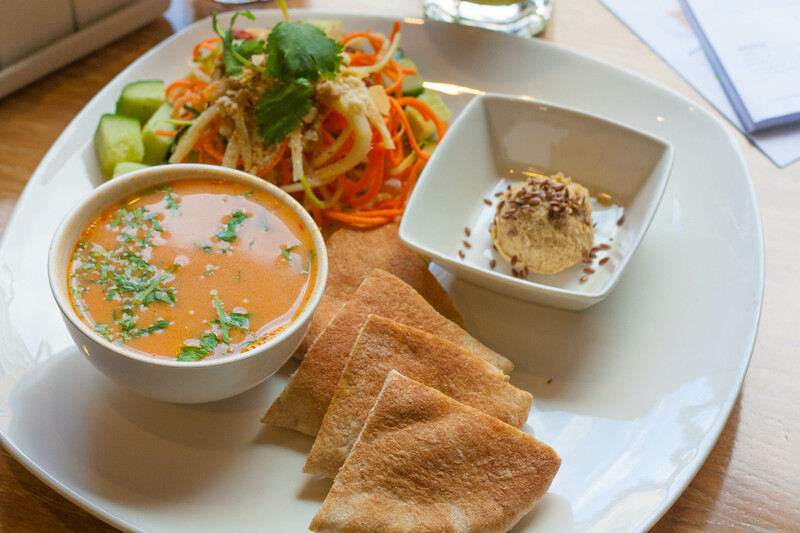 The café is primarily vegetarian, but they serve a great variety of vegan and raw options for all courses. 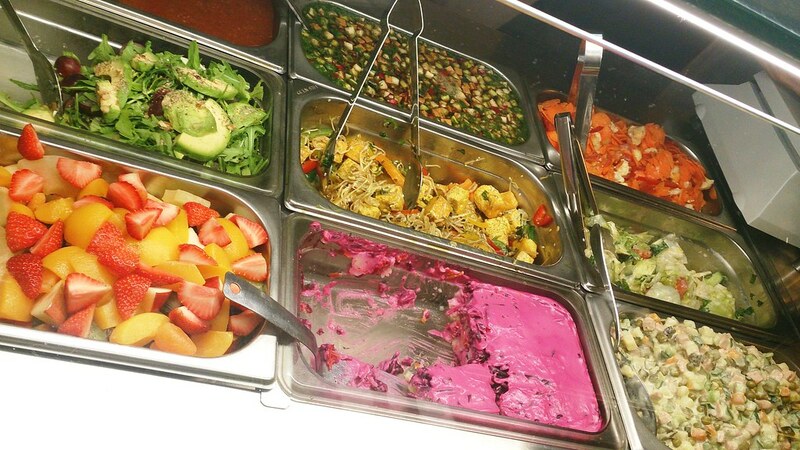 The menu is super convenient, all the dishes are color-coded: vegan options are green and raw options are purple. 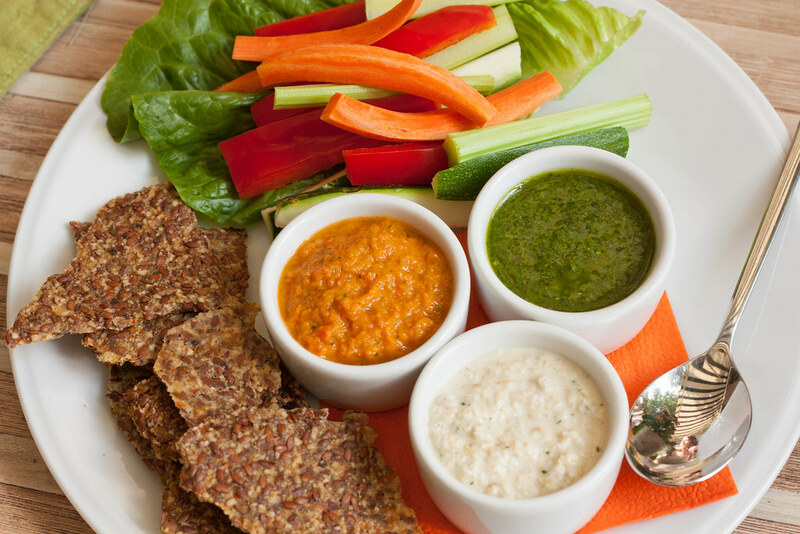 Raw dishes are mostly vegan as well, but some of them include honey (check the list of ingredients on their menu). If you are curious to try something Russian and vegan, here are a few: Borsch soup, raw Okroshka soup, raw “Herring under a fur coat” salad, raw Olivier salad and Vareniki dumplings. During my visit, I spent an enjoyable time on their summer veranda. I ordered “Guacamole”, “Raw Hummus” Plate and a piece of “Banana-Chocolate Cake” with “Sea-Buckthorn Punch.” I found their raw dishes tasteless, but I think raw eaters would appreciate them more. The dessert was lovely but the portion was tiny and expensive. And the punch was sensational! I like Sok café for the location, the atmosphere and great selection of raw options, but in my opinion the food is overpriced. On weekdays they offer 20% discount between 12pm and 4pm. The food at the restaurant was a bit pricey, but during weekdays they offer a combo meal of soup, salad, main dish and a drink for 210 rubles ($8 USD), which is a better deal. Sometimes, they don’t offer vegan combo meals all the time. So you have to check with your waiter. I wasn’t really hungry that day so I ordered raw “Zucchini Pasta with Strawberries” and “Celery Green” smoothie with carrots and tomatoes. The smoothie wasn’t for me due to the olive oil and unpleasant flavor. But the raw pasta was splendid! 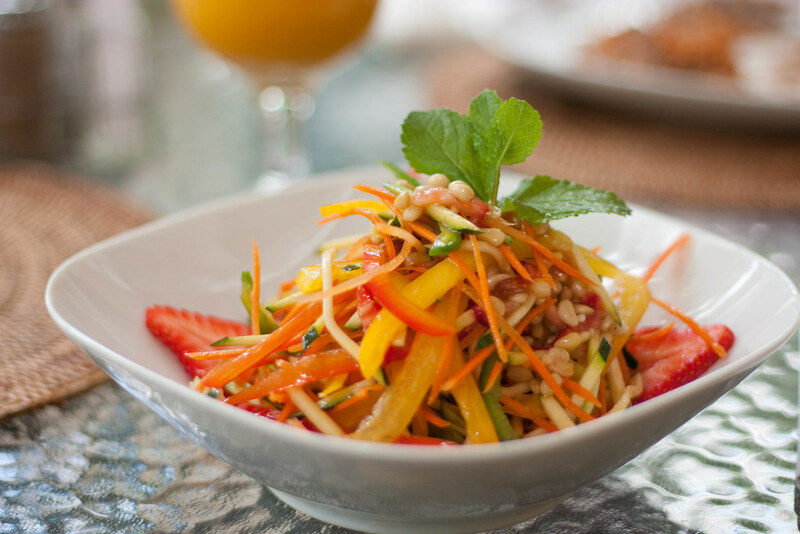 It was fresh, colorful and healthy, perfect for the summer! • Most locals in Russia don’t speak any English, so do not expect the waiters to speak fluent English. • While you are in Russia, pronounce vegan as [‘vegΛn]. The term “vegan” is not widely known in Russia. It’s best to go to vegetarian restaurants where staff may better understand the term. • Waiters in Russia make the lowest wages, so it is customary to leave tips. Generally tips are not included in the bill. It is acceptable to tip in the 10% to 20% range. • Always tip the waiter with cash even if you pay with a credit card. Can you point which dishes are vegan (no eggs, milk, cheese, and honey)? No milk, no butter/cream, no cheese. I am a vegan girl who believes in love, peace and compassion. Not so long ago I quit my office job in order to promote vegetarianism among Russian people, showing that eating vegetarian is not boring, but healthy and delicious. That’s how I started the Vegelicacy website of vegetarian recipes which turned into such an interesting journey. Every day I spend a great time in my tiny kitchen, experimenting with food and learning food photography. I am so lucky to do what I love, and it makes me truly happy! Find Vika on Facebook + Twitter + Instagram.